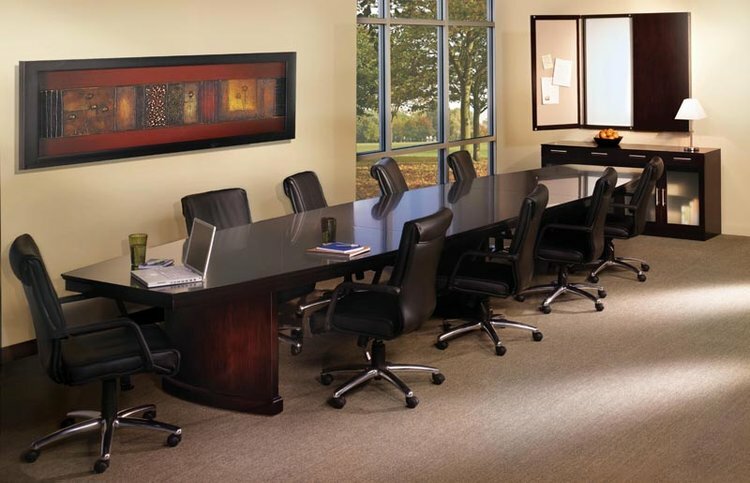 Sorrento modular conference table bases route cords and conceal floor outlets, for a more impressive meet-and-greet. Rectangular conference tables only available in Bourbon Cherry. 54" x 144" x 29.5"